Vibration disc of vibration conveyor adopts the design of bottom jacket; each coilis designed independent jacket and heated by central heating system. Its heating medium can adopt manyforms such as hot water, steam and heat conducting oil, Materials are fed uniformly into vibration convey dryer by vacuum feeding system, and continuously transported up and spially by vibration conveyor. 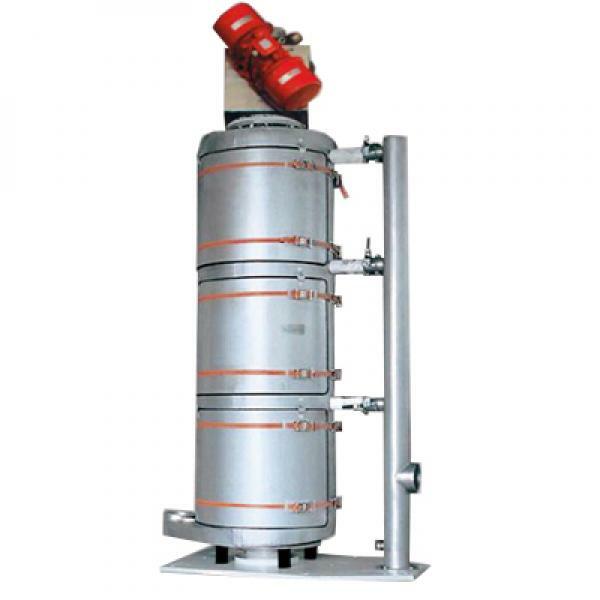 Under the dual effects of heat conduction and radiation of jacket, material is heated up in high efficient way, humid vapor is extracted by vacuum, the fully dried materials are discharged from the upper vacuum discharging system on the top. 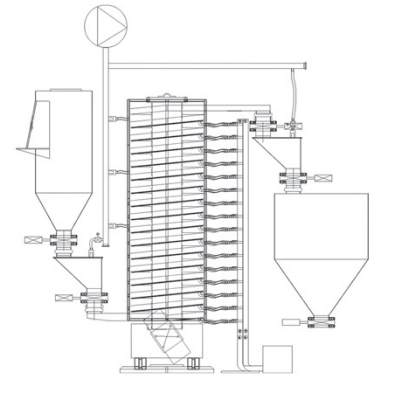 Continuous drying treatment under vacuum conditions is applied to drying various types of granule and powder materials. With the advantage of low steam pressure in vacuum conditon, it realizes the drying process at lower temperature, especially applicable to the processing of materials easy for oxidation, discolor-ation and decomposition at high temperature. Fully closed operation without dust pollution risk satisfies the requirements of clean production. It occupies a small area, drying and hoisting is completed at onetime, which simplifies layout of equipment. One machine with two function and the layout of equipment is compact.